I’ve been doing a lot of reading lately. And it always impresses me that even in the oldest books about shooting, trigger control is always mentioned as being critical. It was every bit as important “Back Then” as it is now. The only difference is that back then, they didn’t have trick sights with illuminated or fiber optic sights. They didn’t have mini red dots and lasers. What they had was Trigger Discipline. Another thing they didn’t have was any form of decent technique or tactics. But don’t think for a minute that if you were to go back in time you would be able to clean how. Because back then ammo was cheap. Even by today’s dollars and their income levels back then, ammo was cheap. While they may not have been much on the Art of the Dynamics… They could hit. And no matter then or now, Hitting is Winning. And here’s the deal… I bet you could take your Great Great Grandpa and give him your gun, and he could hit with it. But he gives you his gun, you would be hard pressed hit the black. Today we’ve been very spoiled with good triggers and CNC Machined actions making everything much more consistent. So he would think your trigger was awesome. You, might not think the same of his. Not that his was bad… just different. But the one thing he had that I bet most guys don’t… He knew what a good trigger pull was. Not the trigger and the mechanics of it, but the biometrics and the technique to have a good pull. There is a certain outdoors oriented magazine that recently did a test on cheap rifles. They took the most popular rifles that retail for less than 500 bucks, and did a quick and dirty accuracy test. 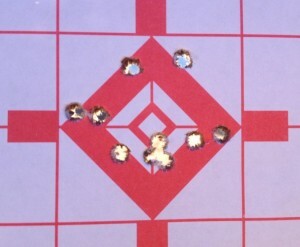 The results were than the Marlin X7 rifle handed it to all the others. Drastically. According to this test, the Marlin was much more accurate than all the others, showing a one hole group compared to the other’s patterns. Okay. I’ll buy that. 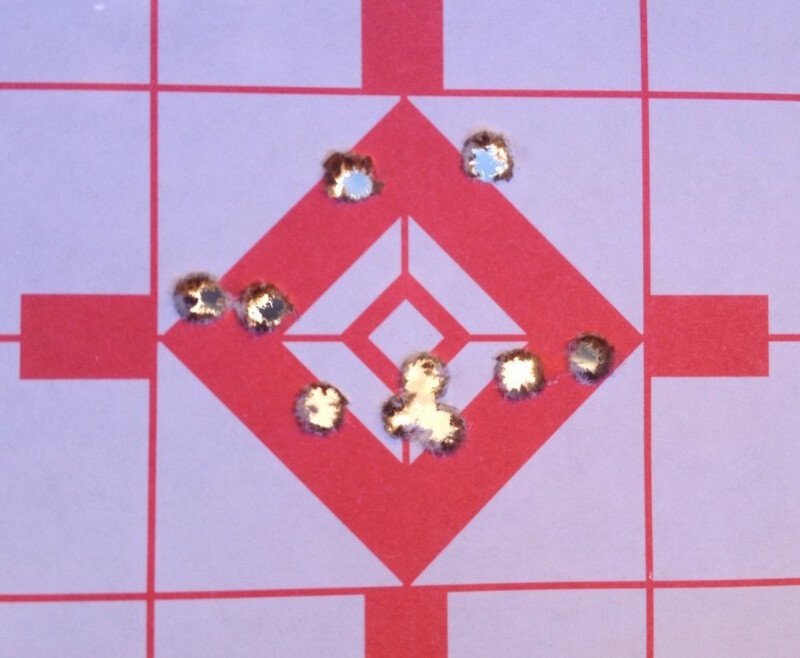 This Marlin X7 was more accurate with the Test Ammo than the others. But they didn’t test other loads through the other guns. Generally what happens is that one gun can favor one particular load more than others. As is this case. In spite of what this test shows, I’d much rather have a TC Venture or a Vanguard than the Marlin X7. The Savage is at a disadvantage here. At 299, it’s the cheapest. But for a hundred bucks you could drop in a Timney trigger. But it up to the 400 dollar range, still well within the test price range, and then you would have a very competitive rifle. I’d like to see this test conducted again, with the Savage trigger swapped, and with a number of different loads tested for a more “Accurate” test result. Because I’ve personally seen groups from the Vanguard S2 rifles and the TC Ventures that were just amazing. I’ve also heard reports from more than a few Marlin X7 owners that these rifles are indeed shooters. I can’t deny that. One is from a source that I will not question. I have nothing against the Marlin rifle here… But fact remains that this test was rather shallow and only skimmed the surface.